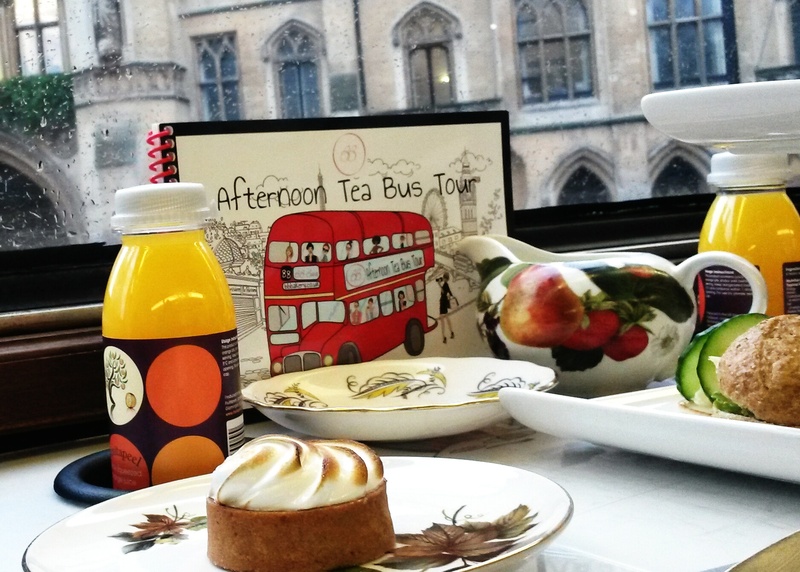 Quirky Afternoon Tea on a London Bus with BB Bakery – Why Waste Annual Leave? Following the recent post-holiday gluttony, I noticed many bloggers’ social media feeds trending with statements of detoxing, 5/2 diets, juices for dinner – the dreary list goes on. 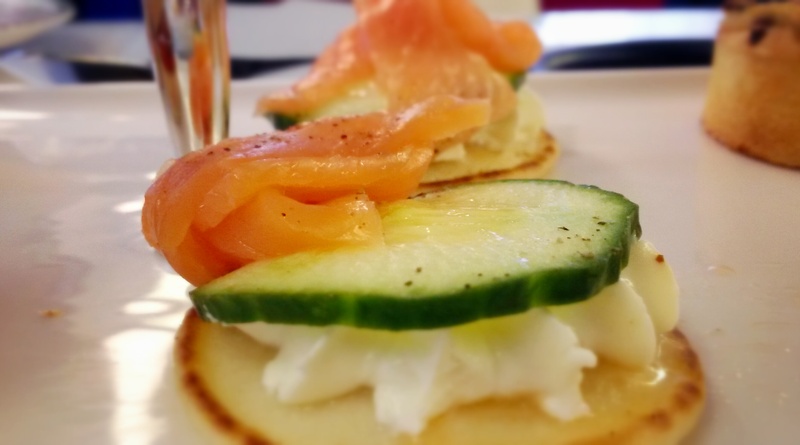 I’m more of a believer in sustainable healthy living – no drastic diets, no en-vogue nutritional fads, just regular balanced lifestyles throughout the year with eating out and naughty treats to be enjoyed in moderation. 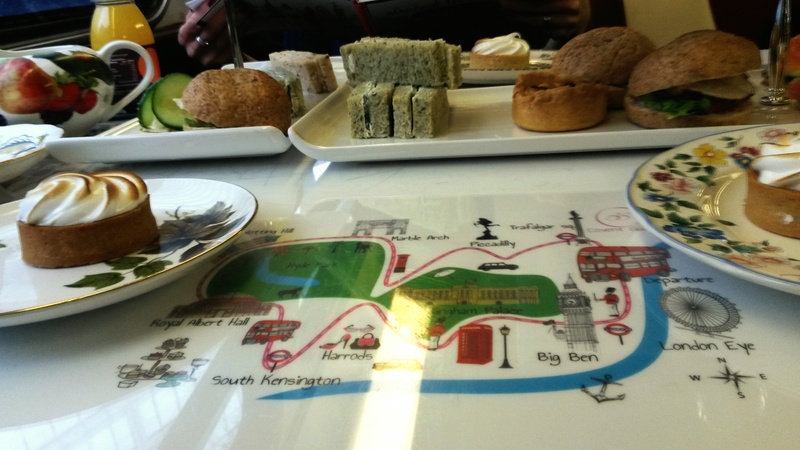 And so, on a rather happy “moderation” day, I joined Char and Ayla on board the BB Bakery Afternoon Tea Bus, without doubt one of the most novel experiences you’ll find in London. I’ve met both of these lovely ladies on a number of occasions and felt an instant affinity with them. For one, just like myself, they are totally travel-mad and their passion for travel trumps all others (sorry husbands!!) but also like myself, they juggle this with busy careers, mortgages, spouses and their global tales prove that you don’t have to give this all up to pursue your travel dreams. BB Bakery have had a tea salon in central London for a number of years now. If you walk past it, you will be hard pushed not to want to pause when you see their array of delicate, fanciful French pastries – just look at the cupcakes above! It’s always packed because frankly, they know how to do cakes so I came into this with high expectations. I once raved about the pizza restaurant on a London Routemaster bus but that was stationed so I was panicking slightly about how I would get through this without major spillage and clumsiness.. The bus tour starts just by Trafalgar Square and lasts approximately an hour and a half. We were seated at the top deck, where tables were mostly arranged for up to four people and we were given a warm and friendly reception from a member of staff with a most attractive French accent. As you board the bus, you’ll note a selection of sandwiches, quiches and sweet pastries already laid out and if you’re an eager-beaver of a photographer, take advantage of those moments on the static bus or try to optimise on traffic/traffic light opportunities once you’re on the move (not usually a problem in central London.) 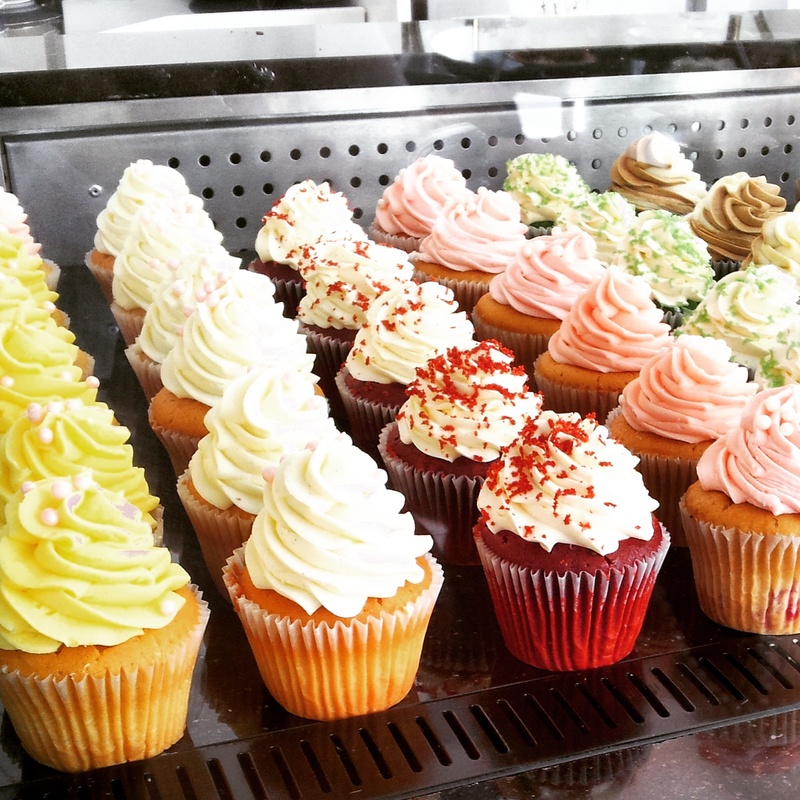 We learned the hard way that zooming in on a mini-cupcake on a moving bus in no easy feat. The sweet treats were as scrumptious as I remembered from their Covent Garden bakery and any leftovers will be nicely boxed up for you in a dainty pink cardboard goody bag, which kept Pumpkin a happy man on my return. One of our group has a nut allergy and despite forewarning, they were unable to accommodate the request, stating that nearly every dessert contains nuts in some form so if you are affected with a similar allergy, do check in advance regarding specifically what to expect from your tea. 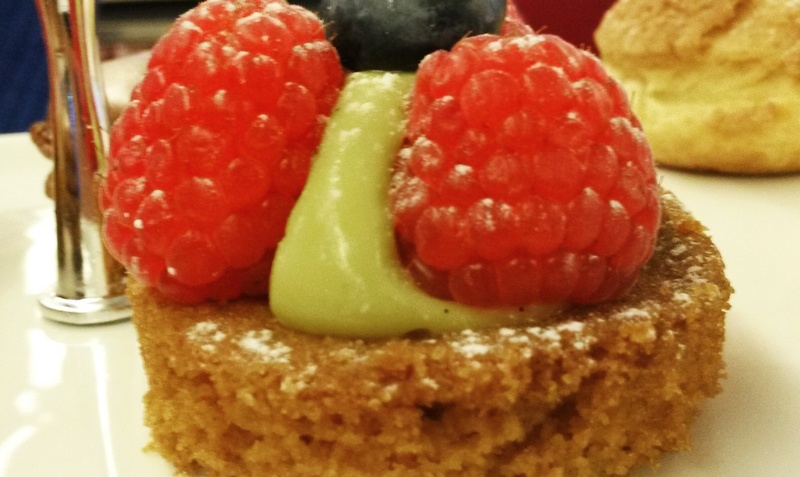 We were guests of the BB Bakery Afternoon Tea Bus but I am opinionated little lady, particularly where cakes are concerned so all views, good or bad, are entirely my own. Thank you! It was delicious – definitely one for anyone with a sweet tooth!! 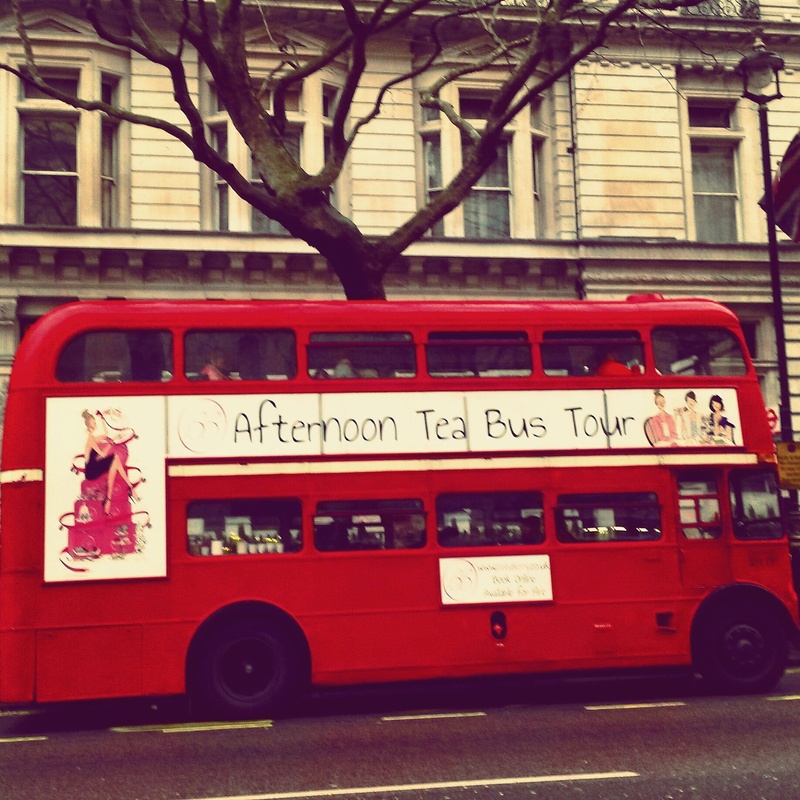 :-O there’s a high tea bus?!?! OMG!!! As if I wasn’t already keen enough to go back to London! This is such an awesome idea!!! Haha, so it sounds as if we should be expecting a return visit from you soon then Jess?! It’s such a fun concept & the dainty cakes especially were just delicious ☺ Thanks so much for reading! What a quirky was to see London! Bit different to pushing, shoving and cursing your way through Oxford Street when hungry eh?! I think this would be so much fun! Getting to see London AND eating lots of sweets! My husband and I have London on our bucket list and while I am not exactly sure if I could convince him to go for an afternoon tea, I probably could get him to do this! I would only be worried about motion sickness — did you feel sick at all? All the treats look so delicious and I love the thermos cups! Such a fun way to see London, shame it was raining when you went but at least you live there full time so you weren’t really missing out. 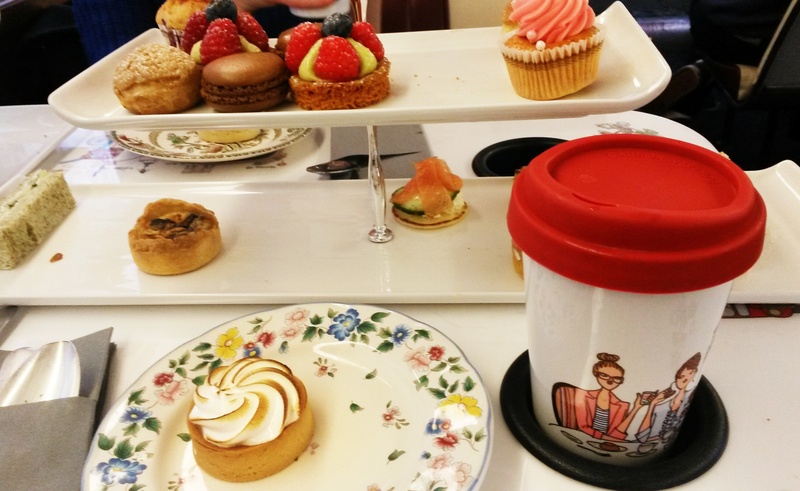 Ooh yum – what a beautifully quirky way to partake of afternoon tea! That looks like such an awesome and unique experience. 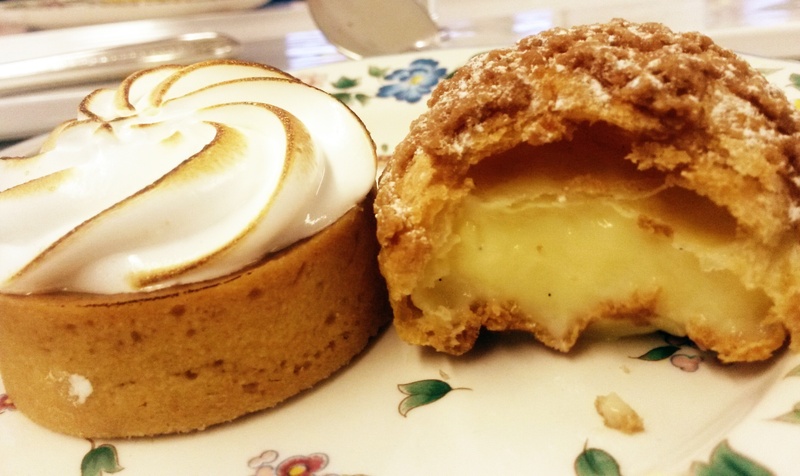 It must be cool to enjoy the sights of London while enjoying such mouth watering pastries on a double decker bus. However, the price is a little on the steep side but I guess it is all about experience. Sweets and a trip around town sound perfect for me, as I will be a first-time visitor to London at some point. I’m willing to deal with the cream in the packet for the sake of city views. I’ve seen so many people do this and it sounds great but way too pricy for me to shell out on. Maybe for a birthday! It is definitely on the costly side compared to many other afternoon teas, I agree so yes an excuse like a bday celebration is a great time to justify it! I love these muffins and cupcakes! Tea time in London is always a great idea :-)!! It was a lovely afternoon all in all Ayla and looking forward to seeing your write up on it too 🙂 And yes, I’m not sure who I was kidding about the “moderation” thing but I’m trying my best to cut down a bit before I end up with a full set of false teeth!! It’s still relatively newish in the grand scheme of things but fun idea eh?! And in fact, I do believe that they’ve now launched an afternoon tea boat ride and last I heard, they were planning one in a London cab too! 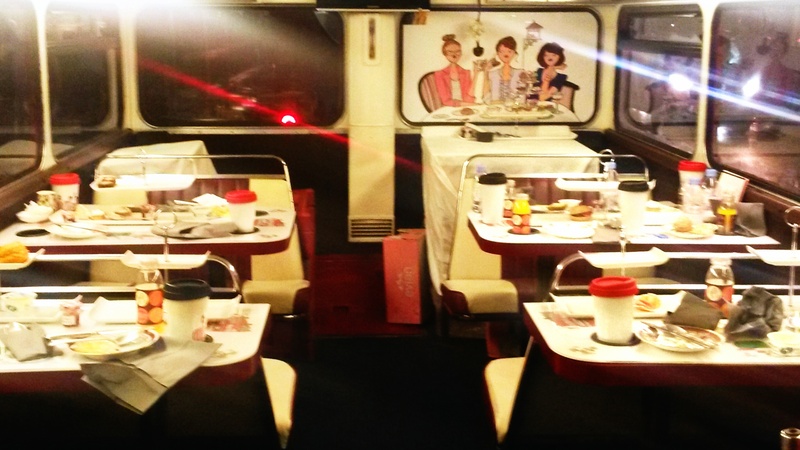 This afternoon tea bus is so awesome. I like the idea of enjoying the delicious cakes while watching the beautiful sightseeing. 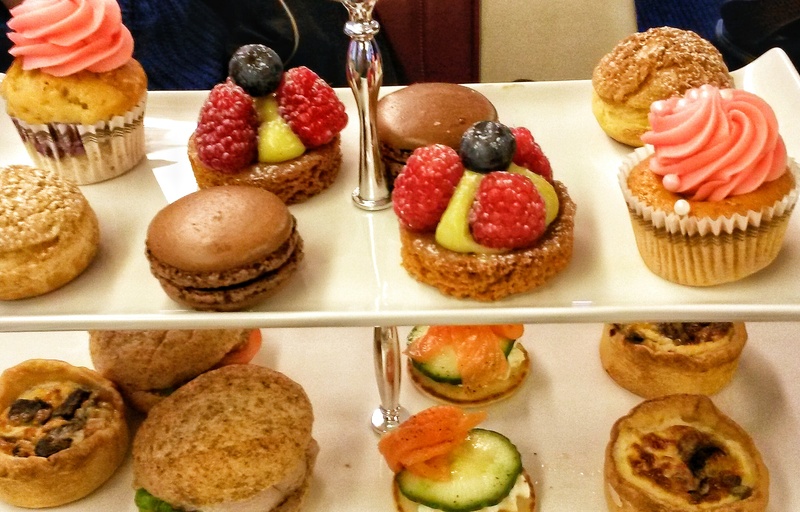 Pingback: The Bobbi Brown Afternoon Tea at Balthazar London | Why Waste Annual Leave? What a great prize to win! 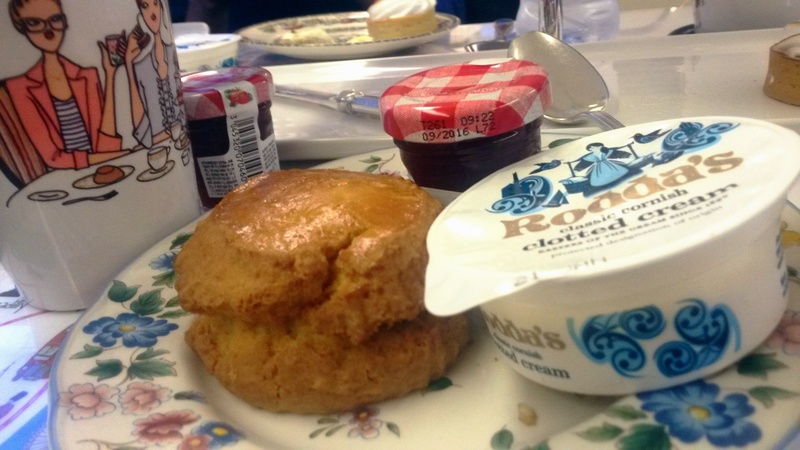 Sounds like you had a wonderful experience on board – it’s a great way to combine 2 such quintessentially British things – the routemaster & high tea! I actually saw the bus driving past today in the city & it brought back fond memories!